According to Everything Finance, “…the time of year that you move can have a large impact on your budget. It can also affect many other things, like the ease with which you move as well.” They go on to say that “…spring and summer are the best times to move” which is why so many families choose to do just that! 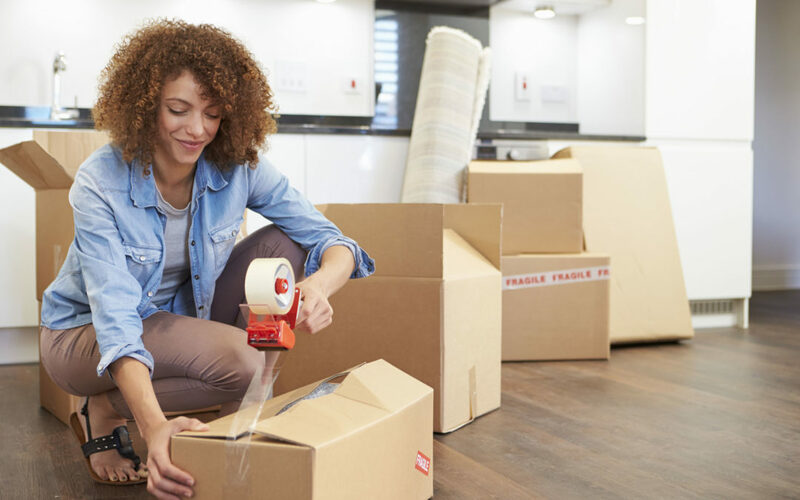 If you are planning on moving this spring, these 5 simple tips to help keep your move organized are certain to alleviate stress during an otherwise stressful time! Believe it or not, you can easily get boxes for free simply by asking your local grocery or drug store if you can take some home after they receive one of their shipments. And, if you need to purchase some, local self storage facilities have various sizes available at an affordable price, along with additional moving supplies. Use this time of packing up your belongings as a chance to get rid of clutter within your home. Packing light will enable you to have an easier move, while ensuring your new home starts off without any junk! Not sure where to start? Follow the keep, donate, discard principle, and you’ll be able to clean up and clear out in no time! Clearly mark your boxes once they are packed by color coordinating them, documenting what is inside on a corresponding list. By doing so, you will be able to quickly place boxes into the appropriate rooms once you move, knowing which ones are a priority to unpack. Best of all, if you feel overwhelmed by all of your boxes, you can leave ones that aren’t needed right away in your storage unit to unpack at your convenience. If you are packing your belongings while potential buyers are walking through your home, it’s best to rent a self storage unit in your area. Keeping boxes that are complete packed away, as well as larger furniture items, will make your home appear more spacious. With storage units available in various size and price ranges, finding one that works for you is simple. Make a list of all utility companies, insurance companies, financial companies, etc. that you will need to inform of your new address so that you are not missing any information once you make your move. You can also register your new address with the USPS online, easily forwarding your mail to your new home. Remember to take some moments to yourself during this entire process. Think of the beautiful memories you’ve made in the home you’re in, and the new ones you’ll make in the home to come. The chaos of moving won’t last forever – thank goodness! To a happy move and happy home!